Fax technology has not changed much in decades and yet it is a critical component of many businesses. Fax can muck up many VoIP installations by requiring a traditional phone line just to support that old fax. That can be just the factor that keeps you from giving AT&T or Comcast the “heave ho” when you are sick of their customer service. Now, Telnexus offers a rock-solid solution that lets your office go pure Internet with your communications. It is easy to say, “oh you just have to scan and email your documents instead of using the old fax machine.” But, there are frequently high-volume fax users who find this too inconvenient. 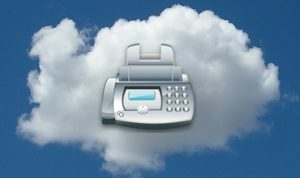 For high-volume offices and those who want to use the convenience of dedicated fax equipment, Telnexus now offers the Cloud Fax Enable device. There is a one-time purchase of $199 for the adapter device, and a monthly service charge of $39.95 for unlimited inbound and outbound faxing. This simple device hooks up to the phone line on your fax machine, and users your office Internet service to send and receive faxes. Cloud Fax Enable users still have the convenience of the online portal for fax management. Telnexus is an expert at keeping your business running smoothly while we transition you to from old analog services to newer, more flexible digital services. 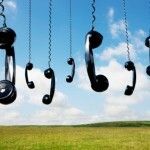 For more information on Telnexus Cloud Fax, please check out another blog posting — Telnexus Cloud Fax Documentation. To order the service please email Telnexus Sales Department at sales@telnexus.com.